All materials are strictly picked by hand.BPA free ABS coating, nylon strap and non-rust zinc alloy are all non-toxic and can follow US/JP/EU quality standards. Our products are all tested by thousands of customers all over the world. Metal parts and nylon leash are at least 4 times stronger than normal design.Consistent control and durable use are our basic promise for every customer. Our coiling system allows your pooch to pull the leash smoothly without worry about tangles and still help you stay in control to ensure security. 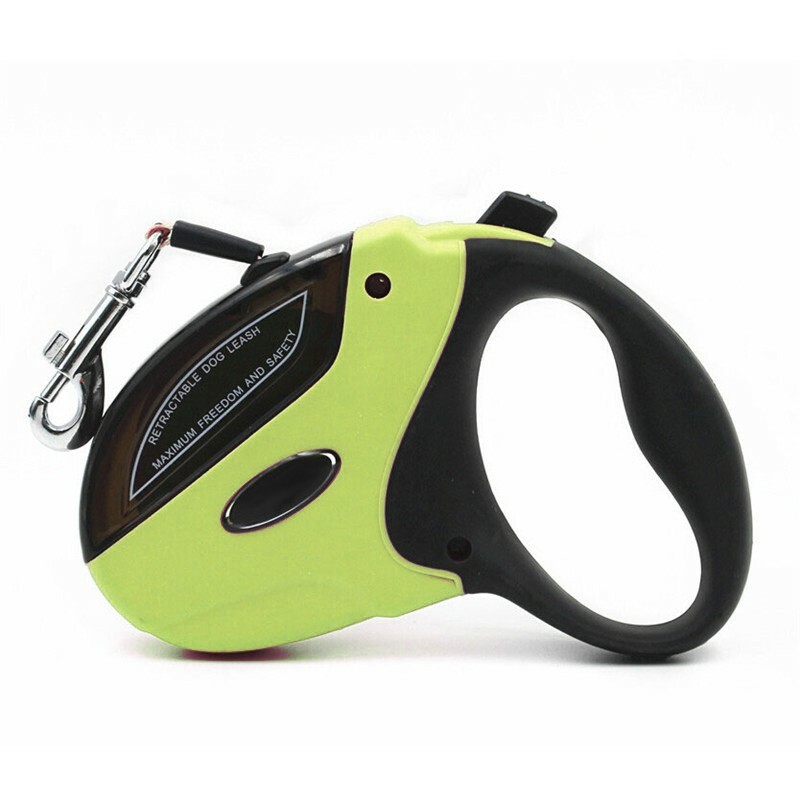 Portable design makes our dog retractable leash convenient to use. Anti-slip handle and ABS material are durable for daily walk and consistent retraction. Pets need to be walked in winter, but normal leashes could not be used in extreme weather because of the materials. Our design with specially customized materials is the best choice for walking your dog in winter, which can work smoothly and perform great safe function. -Mavric, a professional pet products manufacturer, offers all kinds of dog collars and leashes. 1 year warranty is offered by us. If you have any question about pets or products, please feel free to contact with us. After you puppy knows how to respond your cue and practice a lot at home, it’s time for you to take your precious pet go outside. Outside world is full of challenges for both you and your pets. The sounds, smells and sights could make your pets exciting, which can also let them to be happy enough to ignore your instruction or maybe they will be stressful in outside and begin to pull the leash. At this moment, you have to be patient and try to keep the first walks as short as possible. You need to cue your dog when you notice that it might be distracted by something else. And then you need to step back waiting for its coming and reward the smart pooch. The first outside walking is always hard, please be patient. Your pooch will learn how to walk outside quickly. Awesome product! We've gone through so many of these, with our 97lb lab, and this is the best yet! Solid quality, fits great in my hand, has a super smooth transition between the lock and let-go and it doesn't tangle! I recommend this leash . . . It works well! This is a great retractable leash. Is well made and yet light weight. I have 4 dogs 2 must be on a leash for our hikes and this leash is awesome.